Having an excellent credit score can save you a lot of money in interest over time. If your score is already in the 700s, you’re in good shape—but you may be wondering how to take your score from good to great. And is it worth the effort? You probably already know that your credit score is a three-digit number based on the information in your credit report, which includes items like your loan payment history and credit card balances. Multiple companies have models that calculate credit scores—FICO and VantageScore, for example, which both operate on a scale from 300 to 850. Generally speaking, a higher credit score can translate to cost savings, perks and more. Your credit score is a key factor considered by lenders, so a better score can help you get more credit at attractive interest rates (which can save you hundreds or even thousands on interest over time). Landlords and employers can also check your credit score as part of their due diligence process. And some of the best reward credit cards are only available to those with the highest scores. So how high should you aim? Getting a perfect score is extremely difficult, so many credit overachievers strive for a score in the high 700s or 800+. 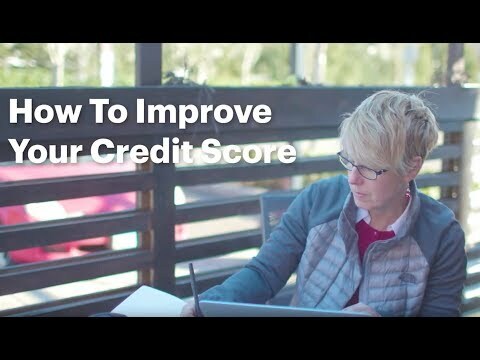 That puts you squarely in the highest range for most credit scoring models (VantageScore considers a score of 780-850 to be “Grade A,” while FICO deems scores above 800 to be “excellent”). If you’re nowhere close, don’t worry—the tips below will still help you improve your credit score over time. You can actually reap many of the benefits listed above with a score that’s considered “good.” But if good doesn’t cut it, read on for your roadmap to excellent credit. 1. Always pay on time. Always. Payment history heavily influences your credit score. In fact, it is the most influential factor for FICO and VantageScore.1 To stay on top of your payments, set up a calendar reminder or enroll in automatic payments. The on-time payment goal applies to all your bills, including utilities, rent and cell phone service. What if you were late on a payment a few years ago? While late or missed payments (known as delinquencies) can stay on your credit report for seven years, the impact on your credit score decreases over time. Most negative items have little impact on your score after two years2 —so be patient, keep making timely payments, and you’ll soon be on your way to an excellent credit score. 2. Optimize your credit utilization ratio. Credit utilization is another key piece of your credit score puzzle. Credit utilization measures the balances you owe on your credit cards relative to your cards’ credit limits. It’s calculated on an overall basis (total balance on all cards divided by sum of credit limits). The general rule of thumb with credit utilization is to stay below 30%.3 This applies to each individual card and your total credit utilization ratio. Strategies for improving your credit utilization ratio focus on reducing the numerator (shrinking the balances owed) and managing the denominator (maintaining or increasing the amount of credit available). Pay more than the monthly minimum to decrease your credit card balances. Leave cards open after paying them off. You’ll reduce your overall balance owed, but maintain the total limit—thereby lowering your credit utilization ratio. Refinance high interest-rate credit cards with a personal loan that has more beneficial terms. Consolidating multiple credit card balances into one (ideally) lower interest rate loan can reduce the amount of interest you owe, which means you’ll pay more toward principal and can pay off your debt faster. Plus, if your credit cards remain open after transferring the balance to a personal loan, your credit utilization ratio goes down. 3. Regularly monitor your credit scores for inaccuracies. Identity theft and reporting errors can quickly derail your journey to a great credit score. Sign up for Upgrade’s Credit Health to get your free credit score, credit monitoring, and credit education tools. Check your credit report — available from each major reporting agency once a year for free. If you catch something inaccurate on your report, follow the steps to dispute the error — like sending a written dispute letter to all three credit bureaus (Experian, Equifax and Transunion). Adams-Mott notes that it typically takes a credit reporting agency about 30 days to investigate a disputed item, and the positive impact to your score can be immediate (for example, in the case of a late payment that wasn’t) or long-term (for example, when proving that several new accounts were falsely opened in your name). 4. Be strategic about taking on new debt and closing accounts. Credit scoring models consider your total credit card balances and outstanding loans. Generally speaking, keeping your debt load low is good for your score. Applying for new credit and loans can also impact your score, since lenders will do a “hard inquiry” on your credit each time you apply. Too many hard inquiries over time may indicate that you’re taking on more debt than you can handle—a credit score no-no. However, you shouldn’t be afraid of applying for new debt—under the right circumstances—just because it might affect your score in the short term. After all, the reason you are building excellent credit is so that you can qualify for attractive financing (for example, a low interest rate mortgage when you’re ready to buy a house). As long as you continue to demonstrate that you’re a responsible borrower who makes on-time payments, your score should stay strong over time. Finally, think twice before closing an old account. Having the available balance will help your credit utilization ratio, and having older accounts on your report can also boost your score. 5. Consider your credit mix. Your credit mix—the different types of loan products in your credit history—has a lesser influence on your credit score, but is worth considering. Scoring models often take into account your ability to responsibly manage different types of financing, from credit cards to secured loans like mortgages or personal loans. If you think your credit mix needs diversifying, consider taking on a low-interest rate loan you know you can pay on time, every time (for example, using an auto loan vs. paying for a car in cash). If you have avoided credit cards altogether, you might think about opening one, charging a small amount each month and paying it off immediately. While having an attractive credit mix can help you reach an excellent credit score, you shouldn’t take on any financing that you don’t need or can’t handle. Be mindful of your credit mix, but remember: Credit utilization and on-time payments are paramount. Want to learn more about achieving excellent credit? Sign up for Upgrade’s Credit Health to get your free credit score, credit monitoring, and credit education tools and check out our Credit Health Insights for more tips on how to make a good credit score great. Vantage common credit activities and impact.